What should you be doing to protect yourself? First and foremost, you must seek a consultation with an immigration attorney to explore your options to legally remain in the United States. Many undocumented individuals are unaware of laws that can benefit them. For example, Section 245(i) of the Legal Immigration Family Equity Act allows certain persons, who have an immigrant visa immediately available, but entered without inspection or otherwise violated their status and are thus ineligible to apply for adjustment of status, to apply for permanent residence and pay a $1,000 penalty. You are currently the spouse or child (unmarried and under 21 years of age) eligible to accompany or follow to-join a principal or derivative beneficiary described in Items 1-4 above. Not everyone is eligible for 245i, but many are, and are unaware of this provision in the law. There are also other alternatives such as prosecutorial discretion and withholding of removal for persons that are in the process of being removed. 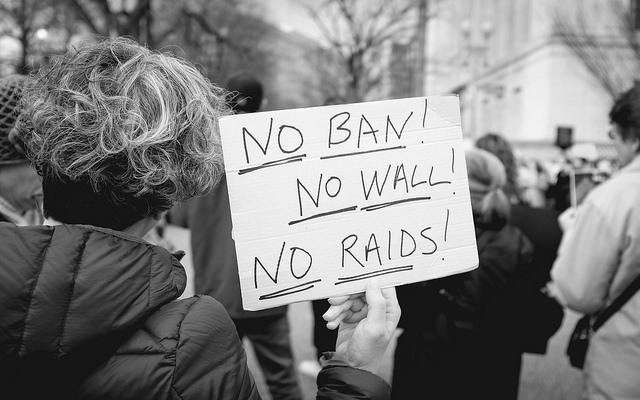 The point is to be proactive and to discuss any options you may have including your complete immigration history with an immigration attorney. It is best to prepare now in case of immigration raids in the future. Secondly, undocumented immigrants should be gathering as much evidence of possible of their continuous residence in the United States and evidence of strong ties to this country including ownership of property (house, cars, assets etc. ), ownership of businesses, proof that you have been complying with the tax laws of the United States (have been consistently filing taxes, evidence that you have been continuously living and working in the United States (wage statements, lease agreements, mortgage documents etc. ), evidence that you have U.S. Citizen or LPR children in the United States or immediate relatives that depend on you financially, evidence of your strong ties to your community, and any other evidence that would be favorable to you such as evidence of good moral character (affidavits from friends and family members). If you have not been filing taxes in the United States as an undocumented immigrant you must be aware that this is a serious violation and will not weigh in your favor in case you are placed in removal proceedings. Remember that even as an undocumented immigrant you may apply for a ITIN (Tax ID number) to file your taxes. Do not under any circumstances continue to evade the laws of the United States and do not seek any state or federal benefits you are not entitled to receive under the law. Preparing these documents in advance will help you more than you think in the case of an immigration raid or other favorable and unfavorable legislation that may be passed under President Trump in the future. Take your future into your own hands, and do not let your fear get in the way of planning for your future. To schedule a consultation please contact our office here.